With InCoWriMo coming up, it seems like a good time to talk about a letter pad that I picked up recently. 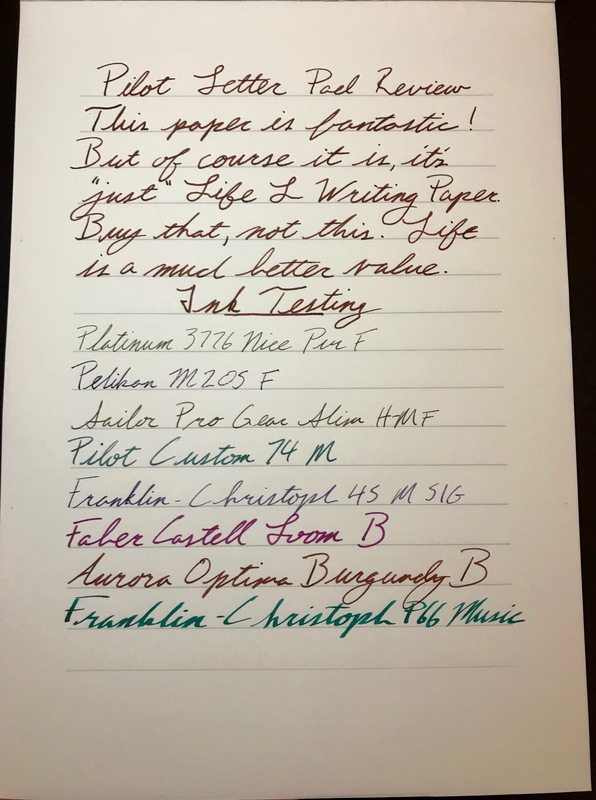 While I was in Texas, I stopped by the Kinokuniya in Carrollton, and I saw that they had the Pilot “Super Quality Paper for Fountain Pen” A4 letter pad in stock. I’ve been curious about this letter pad, but the price when buying it online has always given me some pause. 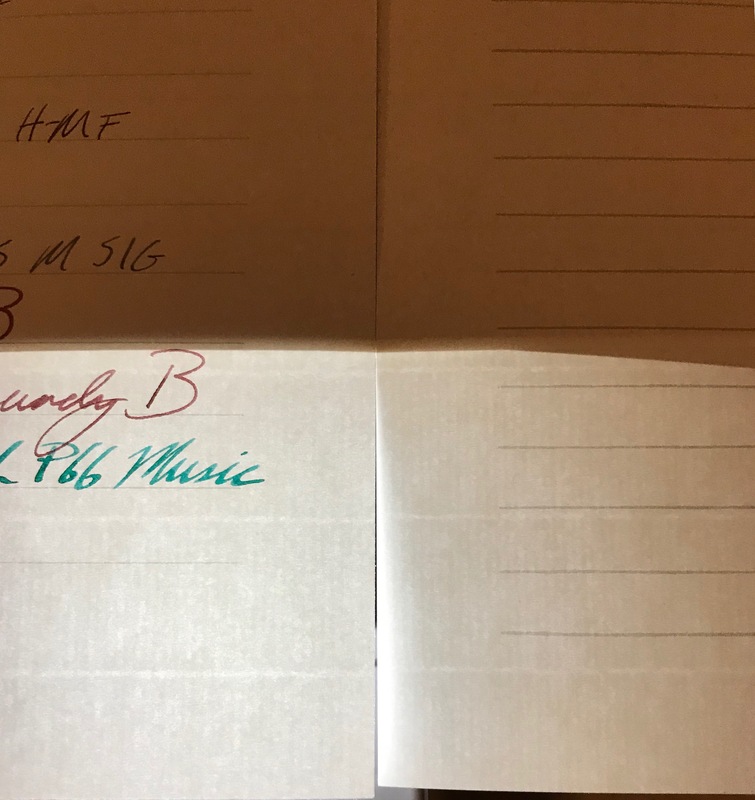 However, I had some letters to send while I was in Texas, so I went ahead and picked up the pad so that I could get those letters out and try the paper. Performance wise, this paper is fantastic. There’s plenty of shading, sheen here and there, and absolutely no bleeding or feathering at all. It really is some super quality paper for fountain pens. I’m not a huge fan of the line spacing, as the lines are spaced rather far apart, but it does work nicely for using a big, broad nib when writing. But something seemed a little off about this letter pad. When I got home, something about this letter pad kept tickling at the back of my brain. There was something familiar about it that I just couldn’t put my finger on. And then it hit me: the Pilot paper behaves and feels exactly like Life’s L Writing Paper. I still haven’t finished off my letter pad of L Writing Paper White, so I tore out a page from each pad and held them up to the light. Lo and behold, the laid lines are identical. In fact, you can line the laid lines up with each other and watch the pattern repeat. So it would seem that Life is making the letter pads for Pilot, and then Pilot white labels the paper for themselves. At first glance, this seems like a good thing. I’ve raved about Life’s L Writing Paper plenty of times, and it’s some of my favorite paper out there. L Writing Paper’s performance is fantastic, and it’s becoming more and more easy to get. Another format of that paper should be a good thing, right? Unfortunately, the pricing really kills this letter pad. With Life’s letter pad, you get 70 sheets for $12 from Vanness Pens, where I got mine. 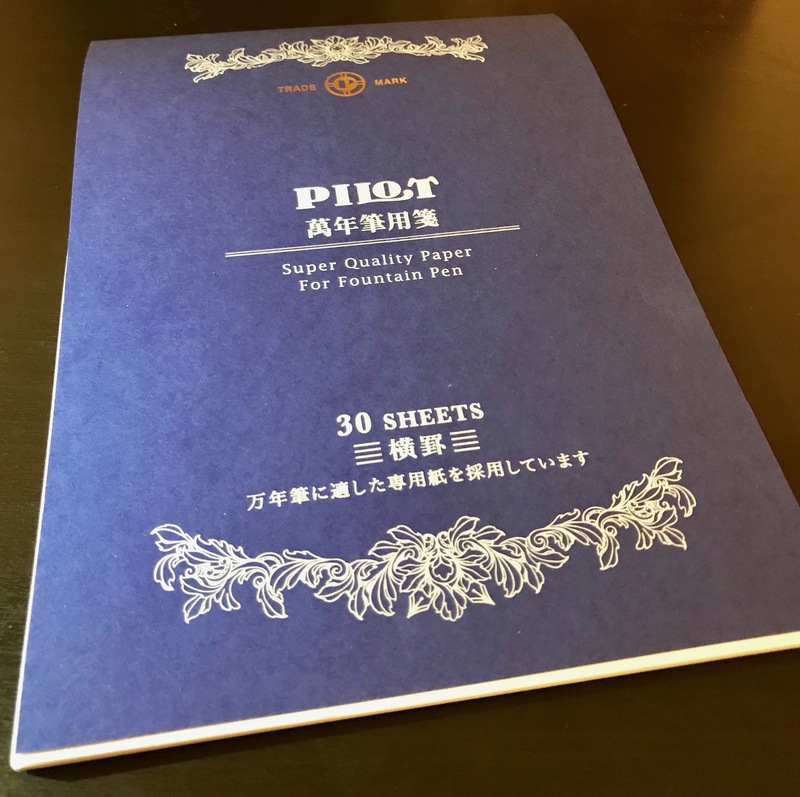 The Pilot Letter Pad is $14 for 30 sheets of the exact same paper if you buy it at JetPens or at the Kinokuniya where I bought mine. So the Pilot pad is more than twice as expensive per sheet. Plus, the spacing of the lines on the Life pad gives you four more lines to write with per sheet, which means you can generally say more per sheet, which means fewer pages used per letter. That makes the Pilot Letter Pad a terrible value any way you slice it. So is the Pilot “Super Quality for Fountain Pen” A4 pad good? Absolutely. Should you buy it? Absolutely not. If the price were less than half of a pad of Life’s on brand paper, then it might be a good deal if you want the pretty looking cover, but as it stands, save your money and find someone who has Life’s L Writing Paper A4 Pad in stock instead.